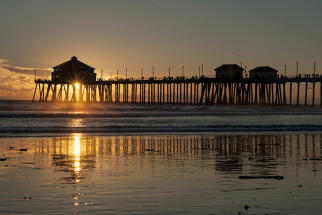 Sunset Beach features one of the widest beaches in southern California. Running parallel to the beach, from the north of town to the southern edge is the Green Belt, a bucolic 14 acre park on which residents walk their dogs and celebrate Mother's Day with the historic Sunset Beach Art Festival, sponsored by Las Damas. 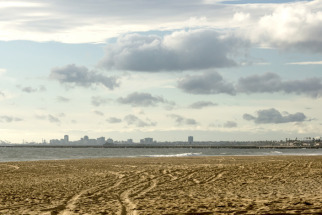 Southeast of Sunset Beach is Bolsa Chica State Beach. 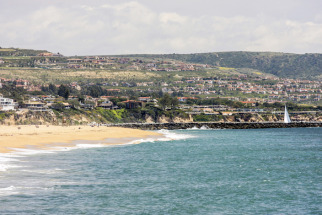 The City of Newport Beach is located in the coastal center of Orange County, with Los Angeles County to the north and San Diego County to the south. It has an estimated permanent population of 86,738 but during the summer months, the population grows to more than 100,000 with 20,000 to 100,000 tourists daily.